Ballester-Bolinches, A, Cosme-Llopez, E, Esteban-Romero, R, & Rutten, J.J.M.M. (2015). 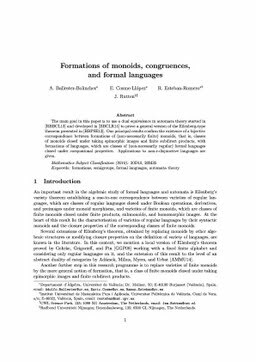 Formations of monoids, congruences, and formal languages. Formal methods [FM]. CWI.